Whenever I tell my cruise guests that I’ve moved to Norway 4 years ago and that yes, I am permanently living in the country without any plans to ever move back to Germany, they almost always assume I did so because of love. It makes sense, right? Most people either move abroad to be with a loved one and/or because work requires them to do so. Neither of these two reasons applied to me. I first and foremost moved abroad because I wanted to. I didn’t know a single soul in Tromsø before moving there in 2014 - yet, I arrived on a very rare, sunny and warm, August evening with two overweight suitcases that held the secret to how I managed to build a life in Norway from scratch: my admission to pursue a Master’s degree at the local university. Before explaining how pursuing a university degree in Norway was the secret to me successfully building a life in the country in detail, I need to say that I was quite fortunate to begin with: I’m German and thus, a EU citizen. EU citizens don’t need a visa to visit Norway and don’t have to worry about any permits as long as they stay for less than 3 months. If you plan on staying longer than that, you need to register yourself at the local authorities with a reason for why you’re in the country in the first place, and why you’re planning on staying - aka, you either need to have a job or be enrolled at university. The latter was the case for me and, as it turns out, is one of the two secrets to me being able to still live and work in Norway today! Because I was enrolled in a 2-year Master’s program at a Norwegian university, I had a so-called oppholdsgrunnlag - a reason to reside in the country. As a student, I had the right to receive a residence permit and with that came my national identity number - which is the key to life in Norway. Because of my national identity number, I was able to open a bank account in Norway. It’s unfortunately not possible to open a bank account without this number, but it doesn’t matter whether you’ve received a permanent or temporary number - both are valid in this case. Because I had a residence permit, a national identity number and a bank account, I was eligible to search for part-time employment alongside being a full-time student. Prior to moving to Norway, I’d never had a “proper” part-time job before. I worked as a freelance journalist when I still attended high school, but I wouldn’t describe writing articles about the local rabbit breeding association (not even joking here) as having an actual job. Studying for a Bachelor’s degree in Germany and aiming to finish your studies on time, back then at least, was a full-time job itself. The government changed the entire university system a few years before I started my studies, leaving an utter chaos and no real system as to how you can collect the points you need to graduate in a timely manner. Not only that, but many universities and study programmes, including my own, were hopelessly crowded - meaning that if you wanted to finish your studies in time, you needed to apply for and finish a lot of courses that you weren’t even interested in. Anyway, I ended up financing my studies (both, in Germany and Norway) by means of student loans, which made my job as a project assistant at the Sami Centre of UiT - The Arctic University of Norway, my very first one. A job that I wouldn’t have gotten had I not been enrolled as a Master’s student of Indigenous Studies at that very same research centre. Because I was, at that point, living in such a remote and fascinating place like Tromsø, while finishing my degree in Northern Studies (which was an online course giving me a double BA - whole different story!) and learning so much about Sami culture in my Master’s program, I made the change from having a lame FB page to running a full-fledged blog; launching Snow in Tromso as a place of information and inspiration on the Arctic and the Nordic countries. I was very lucky that I did so at the right time. Back then, tourism in Tromsø was still enjoying the publicity that Joanna Lumley’s travels to the Arctic brought with it, and it was only in 2012 when the whales started to spend their winters in the area - leading to an even bigger boom in tourism. People started to stumble upon my blog as a source of information for their upcoming trips and thus, my blog and social media following grew. Because of this, I was able to land another part-time job towards the end of my studies, as a social media consultant for a local company. A job I would not have gotten, if I hadn’t launched my blog. This job eventually led to full-time employment when I finished my studies - at the same company, as a marketing consultant. 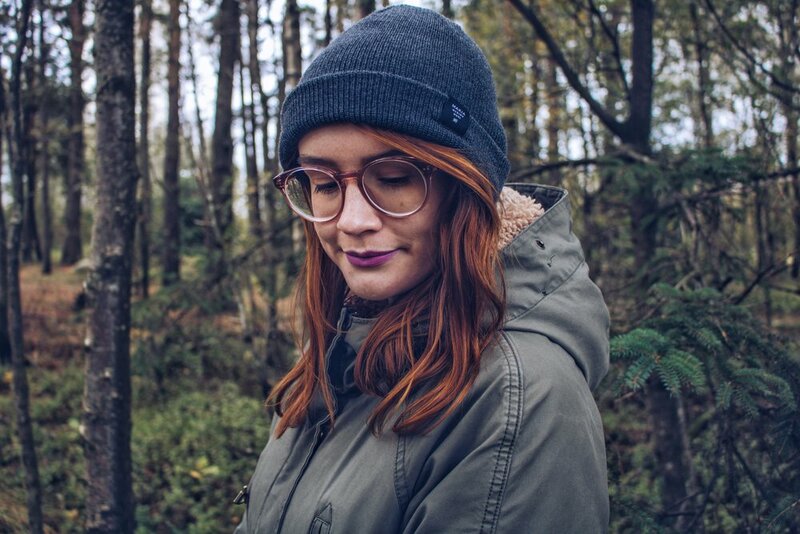 In the end, because I had gained experience in marketing and knowledge about the Nordic countries and cultures through my studies (as well as travels), I was able to move to the other side of the country and become self-employed. 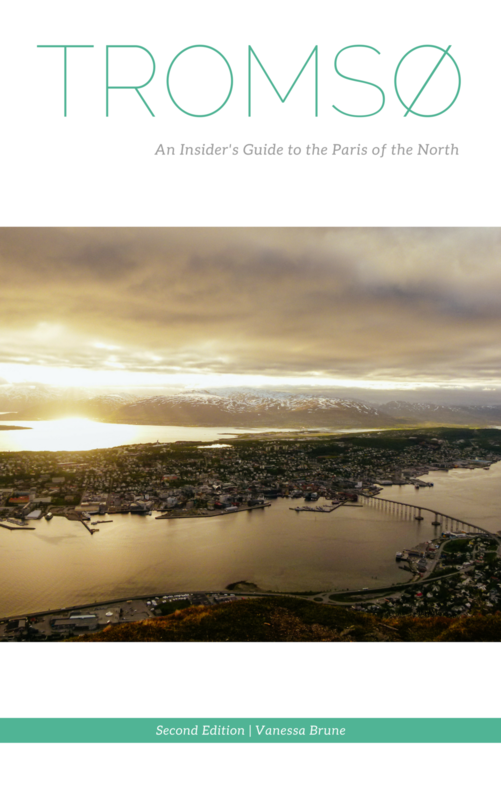 My blog would not have grown the way it did if I hadn’t lived in Tromsø and thus, I wouldn’t be able to generate a passive income from selling my e-guidebooks to the city now. I surely wouldn’t have any experience working in marketing, if I hadn’t started my blog, which I wouldn’t have, had I not moved abroad. I also would not have met my boyfriend of 3.5 years and counting, as we were study partners back at uni in Tromsø. Pursuing a Master’s degree in Norway, isn’t the only way to build a life in Norway, though. I would argue that it is a relatively easy way of creating a stepping stone to a future career in the country, especially if you’re still in your 20s, but it surely isn’t the only way to establish yourself. If you can’t or don’t want to take a Master’s degree in Norway, make sure that you have (or continue to build up) a special skill set before making the leap and moving here. One such a skill set could be speaking multiple languages. I learnt Swedish before moving to Norway (the short story: I had planned to do my Master’s in Sweden before I discovered the program in Tromsø that I eventually ended up doing), which over the course of just a year transformed itself into Norwegian - mostly just because I was surrounded by the language, but also because I had a Norwegian boyfriend who forced me to speak it. If it weren’t for my Norwegian language skills, in addition to the social media experience from my blog, I would have never been hired as a social media consultant in the first place, and would have never had the chance to go on and gain more experience in marketing. Thanks to pure luck (or misfortune, depending on how you look at it… kidding! ), I was born in Germany - meaning, I’m fluent in German. Norway attracts over a million of German tourists each year (in fact, they rank first as far as tourist nationalities go), which means that speaking German comes in handy - especially if you plan on working in the tourism sector! If it weren’t for me speaking German fluently, I would have never got hired as a tour guide - not that one short summer in Tromsø and not now in Stavanger either. You don’t necessarily need to speak a handful languages yourself, though. Do you know your way around IT? Fantastic! Do you have a bus driver’s license? Great! Do you excel at making food? Even better! Certain professions are quite sought after in Norway and for some of these, you don’t even need to speak Norwegian (to begin with, anyway). In fact, I know plenty of people who have been living in Norway for 5 or more years who don’t speak Norwegian at all, but are specialists in their field (for example, photographers and graphic designers) and therefore have a certain job security. However, if you want to work in customer services (whether that’d be tourism, hospitality, nursing or teaching), you definitely need a certain command of Norwegian. Plus, I would argue that you can never fully grasp the local culture until you understand the local language. Summing up, I can only emphasize that I was, of course, very fortunate that things worked out the way they did, but pursuing a Master’s degree in the country, along with gaining work experience here and speaking multiple languages in addition to Norwegian, have really helped me a lot to establish myself in Norway! Who knows whether I’ll live in Norway forever, but for now, I’m certainly incredibly grateful to be here! Are you planning to move to Norway yourself or have already done so?